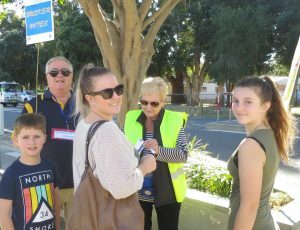 May 2018 – Narooma Rotary Club Inc.
Late in the afternoon Busking HQ in Easts Riverside Park was full of people counting busking votes and money. Shown around the table are Ashley Stanley, Iris White, Robyn Gourley, Jim Harrold and Ann Harrold, watched over by HQ manager Lynda Ord. Well it’s been another hectic week for our Club. Last Thursday we had an outstanding speaker in Fiona McCuaig. Fiona has had some fascinating experiences as a warrior for the environment, especially as a member of the Sea Shepherd crew. It was also great to see so many visitors come to listen to Fiona; hopefully some of our visitors will consider becoming members of our Club. We missed Frank last week but hope the doctors are resolving his health ‘issues’. Last Saturday’s Busking Festival was an outstanding success. I am told the vibe around town was fantastic lots of visitors checking out the performers and voting for their favourites. A BIG thank you to Sandra and her dream team who organised the day; the Club owes you a great debt of gratitude. Don’t forget Cinders this Thursday, I am sure we will give Moruya a run for their money. At dinner we will have mixed tables of Moruya and Narooma members so we can share some great fellowship. After dinner we will separate ready for ‘battle’. What a wonderful and huge community day. Such a good buzz around town, from the Plaza to the Flat. There were many compliments on the day and since about the excellent organisation. Well done Sandra, John and team; all your planning and preparation paid off. 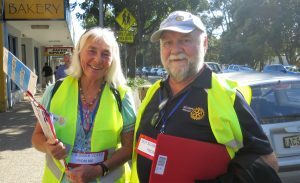 Well done too to all those Rotarians and partners who put in a long day on Saturday selling busker votes, providing information and working in Festival HQ at Easts, and then turned up to help at the markets the next day. Great effort. Busking Coordinator Sandra in full flight at the presentation ceremony at the Golf Club Saturday night. Festival co-ordinator Sandra understandably was ‘absolutely thrilled’ with the response from the community. At the presentation ceremony at Narooma Golf Club that night, she was effusive with her appreciation thanking spectators (even more than last year), our 55 buskers, our major sponsors Narooma Golf Club, Club Narooma and Narooma Easts Holiday Park, as well as the many businesses and organisations that sponsored prizes and the 35 busker hot spots. Great to have PDG Phil Armstrong helping out on Saturday, as was his wife Kim (selling Busker Votes nearby), but the photo here is with another volunteer Alison Philip who was ‘enlisted’ at last week’s meeting. Sandra also thanked the other volunteers without whom it would not have happened – Lions, Quota, Probus, View, CWA and many others – and the four judges – Alan Spencer, long time busker and John and Sandra’s granddaughter Shelby Holland, Cr Lindsay Brown and Fiona Brown of Slightly Twisted Productions. The judges made 22 awards, all sponsored by local businesses or organisations, and there were nine People’s Choice Awards. Sandra and John’s daughter Nadine did a great job as MC of the presentations, with Tim Bourke and Wayne Redman doing sound and lighting. The presentation ceremony ran seamlessly, preceded by an hour-long concert by buskers organised by Nadine. David McInnes (as well as Rachel) were on most of the day selling busker votes. 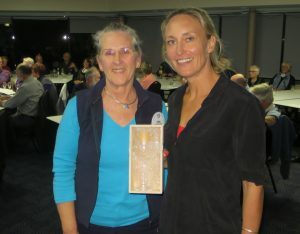 At the presentation, ANBC instigator Alan Spencer of Cooma praised Sandra and her team for ‘showing the way’ with running regional championships. ‘Narooma has introduced a lot of innovation as well as showing how to involve the media, the community and small businesses in the event,’ he said. One innovation this year was combining a car display on NATA Oval with four busking hot spots sponsored by businesses away from the centre of town; a huge success. Peter Bull and Karen Bull were pounding the pavements spruiking Busker Votes. The programme on the webpage worked a treat, thanks to John’s expertise. John says it was one of the products that came from an online data entry system he wrote last year. It holds all busker details (details finances, emergency contacts etc.). It then provided an environment for Sandra to schedule in the buskers’ timetables, creates tables of output and feeds the website. 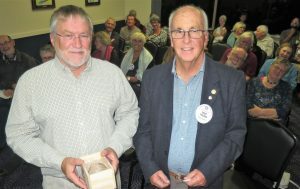 That programme now belongs to Narooma Rotary. The atmosphere continued at Sunday’s markets which were bigger than a normal May market and quite vibrant complete with buskers (including Selby). The markets coincided with a Canberra long weekend which had escaped most of us except some marketers who booked at the last minute. We had steady business throughout the morning and sold all we had in the van. Great work everyone. Fiona McCuaig, our guest speaker last week, attracted a lot of interest and with good reason. She spoke of her extensive background in conservation and her passion for marine conservation. 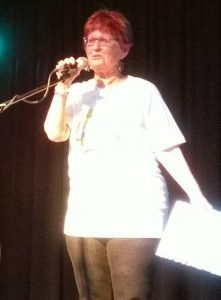 Some of her talk focussed on her time with Greenpeace’s vessel Sea Shepherd in Antarctica in its campaign to stop whaling there, the ramming of one of its vessel and her being the person whose job it was to dive in and check for survivors, a task she was relieved not to have to perform once all crew were accounted for. She called for support to protect our marine parks, noting the harmful bycatch from some commercial fishing methods, and fearing an apparent watering down of the existing marine park system. We welcome over 30 from Moruya Rotary for our annual battle for the Cinders Trophy, currently held by Moruya. Should be a great fun night. They reckon, as stated in the Moruya bulletin this week, ‘surely by weight of numbers we should be a force to overwhelm them and on their home turf!’ President Bob has told them differently. They have been in training: when their speaker had to withdraw at short notice last week, Keith Armstong stepped in with some Cinders’ training. Members were divided ‘into raucous teams, much given to useless disputations, all adding up to a thoroughly enjoyable meeting’. They will be coming by bus and, they assure us, with the trophy (not like us when we forgot to take it with us last year). The biggest lie I tell myself is, ‘’I don’t need to write that down, I will remember it’. Well it’s that time of year again with the River of Art Festival in full swing. It’s wonderful to see such diverse displays of visual and performing arts as a part of the Festival. As all members of the Club are aware, this Saturday’s Busking Competition in Narooma is a significant part of the River of Art program; it’s the last major event in the 2018 River of Art Festival. We have heaps of buskers and hot spots and all signs lead to an outstanding day of busking. Many thanks to everyone who has put up their hands to help. Let’s hope the weather is great and the crowds come out to support our buskers.Such an event of course would not be possible without the dedication and commitment of our Busking Competition organisers Sandra and John Doyle and their team of workers. Thank you Sandra and John for your great work; our Club thanks you for all the work you put into this great event. Don’t forget our monthly markets follow on Sunday. This Thursday, our guest speaker is Australian wildlife activist Fiona McCuaig. Fiona has been involved with wildlife activism for over 20 years. She has volunteered in wildlife rehabilitation in Africa, America and Sri Lanka, volunteered in several zoos around the world, and was with Sea Shepherd for 2½ years including three anti-whaling campaigns in Antarctica and the Faroe Islands. Fiona is also passionate about the necessity of healthy oceans. Next Thursday (31 May): We host Moruya Rotary for our annual Cinders Trophy trivia competition. I understand Moruya has been practicing for the past few weeks in the forlorn hope that they will retain the trophy. I have full confidence in our Narooma team; I’m sure we will win easily. Some of the buskers who will feature at this year’s Festival. 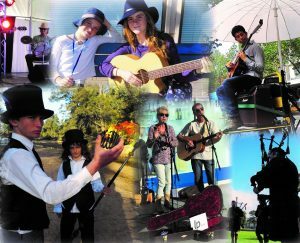 Our Busking Festival and Competition this Saturday promises to be sensational with 55 busker registrations from Victoria, Canberra, Sydney, and out to Cowra and Gundagai. 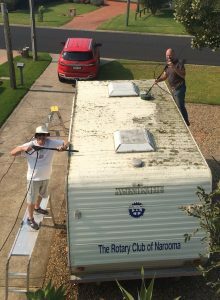 Our hard working coordinator Sandra Doyle anticipates that Narooma will fill with wonderful music ranging from country, blues, jazz and rock, to Scottish bagpipes, as well as dancers, poets and circus acts. Each act will play at four or five of the 35 busker hot spots around town sponsored by the adjacent businesses. Extra busker hot spots this year are at the SoART Gallery and School of Arts’ Studios, on NATA Oval and near Quarterdeck.’ A programme listing each busking act and the timetable for each hot spot (9am-3pm) is available online and in hard copy on the day from the Rotary Busking Information Stall opposite the Ice Creamery, from the Visitors’ Centre and from the yellow Rotary-vested Busker Vote sellers. Profiles of some of the registered buskers are on the website and on Facebook. A concert from 4pm at the Golf Club will feature a variety of performers from the day, with awards to be presented after 5pm. 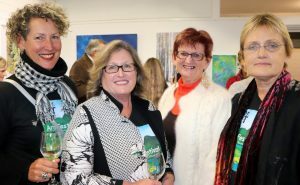 Narooma’s four judges, who will include Cr Lindsay Brown and Fiona Brown from Slightly Twisted Productions, will roam around listening to competitors throughout the day to judge the overall winner. Again the prize is $1,000. 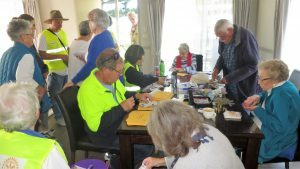 Narooma Lions, Quota, CWA and VIEW Clubs are all pitching in as well as many other volunteers. Four busking sites will operate on NATA Oval (behind the Visitors’ Centre). Also on NATA will be a display of about 30 classic cars from the Classic and Vintage Motor Club of Eurobodalla, the Montague Motoring Club, Verona Classics and the Groupe Auto Classiche, as well as new cars from the AMH Group of Moruya. The Festival is hosted by our Club, partnered with River of Art, and is part of the Australian National Busking Championships (ANBC). Moruya Rotary is looking at running the Renewable Energy Expo on a trial basis in October, possibly in St Mary’s Community Hall and adjacent carpark. 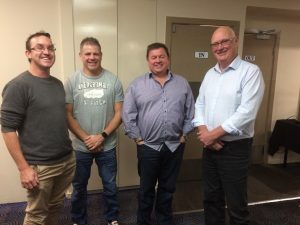 While the Moruya Board is supportive, the Club’s involvement depends on people putting up their hands to form a small working party to plan and run it. Should Moruya decide to go ahead, Frank and others have offered to help with the ‘know how’. The Moruya bulletin said, ‘overall it has the potential to be a fine project – challenging, imaginative, and of high community benefit’. Should Moruya run with it and it is successful, the proposal is for Moruya and Narooma to host it alternative years. Watch this space. Bring ‘all the weird, wonderful and utterly useless facts in your arsenal’, as well as like-minded friends, to our Cinders Challenge next week when we plan to wrest the trophy back from Moruya. Should be a great night and lots of fun. Please make sure you let President Bob know your numbers by Tuesday at 4pm. 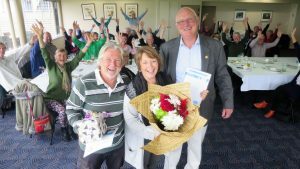 Bob and Merinda Antill will be sorely missed from everyone in Narooma Rotary Club. We had a great turn out on Saturday to say farewell to Bob and Merinda Antill. It was especially pleasing to have past District Governors Maureen Manning and Phil Armstrong in attendance, as well as Phil’s wife Kim. 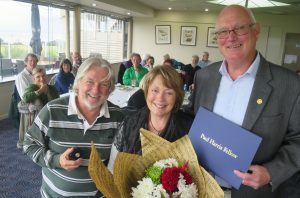 Bob and Merinda have made a significant contribution to Narooma in general and our Club in particular over many years. Bob has been president of our club on two and half occasions, and held many Board positions as well as being Assistant District Governor for the past three years. Bob has been the glue that has held the Club together for many years. He was the public face of Rotary representing us across the community. He also played a significant role in just about all of our projects and community events. Bob was also a highly regarded photographer, bus driver and landscape gardener for the past 25 years. Merinda also played a significant role in Rotary as Bob’s partner. She often performed at Rotary events and meetings, taught us about music, playing for us and leading those who could sing to entertain us. Within the community Merinda’s passion for music was always evident. 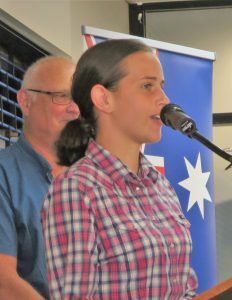 She led the community choir, helped students prepare for their HSC music exams, tutored primary school students in music and played a significant role in her church. It was a great privilege to recognise Bob with a third Paul Harris Fellowship and Merinda with her first. We wish Bob and Merinda all the best in their new home at Lake Conjola. This Thursday we were going to hear from Rotary International Director Noel Trevaskis, but in view of us having so many away, I have asked Noel to come later in the year, possibly in July. Cheryl Walker and Chris O’Brien at last week’s meeting. Our special guest last week was Cheryl Walker who spoke about an award winning documentary ‘Inside Peace’ on the power of peace to change prisoners’ lives. The film tells of the experience of four inmates at Domenguez State Jail in Texas who attend a Peace Education Programme and begin to rebuild their lives. The programme featured in the film has been run globally in prisons, health, education and many other organisations. The programme is basically a workshop to help people discover inner resources and find personal peace. The film will screen at the Kinema on Friday 1 June at 7.30pm and Saturday 9 June at 2.30pm. Fifty per cent of ticket sales will go to Mental Health Research through Australian Rotary Health. Cheryl is also looking to run the programme locally. The signs are up and the excitement in our community is mounting with only about 10 days now until the Busking Festival on Saturday 26 May. Festival coordinator Sandra reports that busker registrations have been rolling in from across the region, from Canberra, Sydney and Wollongong, Victoria and across south eastern NSW. As of last weekend she had 55 entries with a few more still on the way which translates to over 200 performers from the Plaza to the Flat. Entries range from country, blues, jazz and rock, to Scottish bagpipes, dancers, poets and circus acts. There are more bands this year compared with last, but Sandra is disappointed there are few entries from secondary students in Narooma. The busking Festival is the final event in the River of Art Festival which will be launched this Thursday night in Narooma. For those unfamiliar with the event, each act will play through the day at three or four of the 35 busker hot spots around town that are sponsored by the adjacent businesses. A programme detailing the location of each hot spot with a timetable for each act (9am-3pm) will be available online and on the day from an information stall opposite the Ice Creamery on the Flat, the Visitors’ Centre and from the roving Busker Vote sellers who will be wearing a Rotary vest. Every spectator can vote for their favourite busker for the People’s Choice prize of $1,000 by buying a special busker vote from our sellers; each vote costs $1. Those votes are collected from each busker at the end of the day to determine the winner. The busker gets 10 cents from each $1 vote. Each busker keeps any coin they collect. Narooma’s four judges will be roaming around listening to all competitors throughout the day, with the overall winner’s prize also $1,000. The Festival culminates with a free concert at Narooma Golf Club by finalists at 5pm and the presentation of prizes. 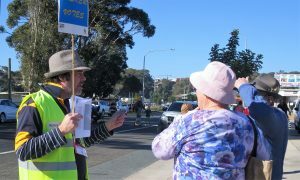 Narooma Lions, Quota, CWA and VIEW Clubs are helping on the day, as well as many other volunteers. Our 2018 Rotary Tertiary Scholar Alicia Bate. Secretary Sandra has received a note from the United States from our 2018 Tertiary scholar Alicia Bates who is enjoying a gap year before starting university in 2019. I have been in the States for two months now and loving it. The culture is so different and such a worthwhile experience. I did my very touristy look around Texas within my first week. They really do do bigger. Cars, food, cities you name it. Cars, food, cities, I definitely see why it can be hard to find good too. I’m very settled into the small town of Como. Much more expansive than the size of Tilba considering they have the same population. The farm is gorgeous and the family are amazing people. Hope all is well back home. Ashley Stanley and John Doyle completed the last bit of cleaning with ‘specialist equipment’. It will be spick and span for the next Markets. Sadly last Friday’s Oyster Festival Community Night had to be cancelled due to persistent high and dangerous winds. I know this must have been a difficult decision for the organisers; however, given the circumstances, I think they make the correct decision. Unfortunately for us we missed an opportunity to make some much needed funds for our charity account. Fortunately we were able to freeze the meat and donate perishables to other charities. Thanks to all those who volunteered to man the van and barbecue. Also on a positive note we gave the van a great ‘spring clean’ inside and out in preparation for the Festival, thanks to John Doyle, Ashley and Laurelle who did a great job cleaning and polishing. The van is sparkling, especially after John and Ashley cleaned the roof. Peter Bull showed us his office where he continues his fascinating work as a chiropractic radiographer. Last Thursday’s meeting was a bit of a mixture. We started at Peter Bull’s place for another in our series ‘a Rotarian presents’. 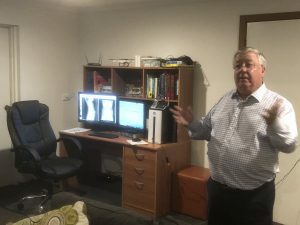 Peter talked to us about his work as a Chiropractic Radiographer; he reviews x-rays from all over Australia and even the UK and works for a company where everything is done remotely. Their radiographers and admin staff have never actually met and worked together face to face. Peter’s pride and joy is his dictation system that allows him to complete reports without having to use a keyboard. When we arrived at the Golf Club for dinner, we were joined by PCYC Far South Coast Club Manager Jason Hough and three other Police representing PCYC. Their speakers gave us an interesting insight into the history and role of PCYC (PCYCs were originally started with the help of Rotary). 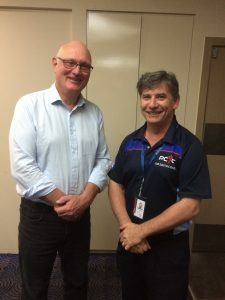 One of the main issues for the Far South Coast is how the PCYC can effectively operate as an outreach service covering town and communities from Batemans Bay to Eden. I will fill you in on the weekend’s District Assembly at Batemans Bay on Thursday. Last week we had surprise guests from Police Citizens Youth Clubs NSW (PCYC).They included CEO Dominic Teakle, Regional Manager Ian Kirk, Far South Coast Manager Jason Hough, and NSW Police Youth and Crime Prevention Command Superintendent David Roptel. We were lucky to have them as Dominic, Ian and David were on a familiarisation trip to the Far South Coast Club. It was only a chance conversation between President Bob and the local PCYC Manager Jason that led to them all (except Jason) joining us for dinner. Jason spoke about the outreach model used by the Far South Coast Club, given that his area of responsibility covers both Eurobodalla and Bega Valley Shires. He said the Club has been running activities along the coast including archery at Narooma, Zumba Kids at Moruya and soon Junior Fitness at Eden and Bega. He will be forming two management committees, one for each Shire, and is looking for Rotary members to join those committees. Our guests from PCYC last week were Ian Kirk, left, Superintendent David Roptel and Dominic Teakle with President Bob. Dominic spoke about the long association between PCYC and Rotary beginning with the establishment of the first Police Rotary Boy’s Club in Woolloomooloo some 80 years ago. PCYC want to acquire two hubs in the Far South Coast from which to base their operations, with activities radiating out from the hubs as well as within them. He indicated that PCYC liked to own and manage their facilities so that other programs and groups could use then in PCYC downtimes (during the day when kids are at school etc) to maximise their use and to raise funds. He also hopes to acquire two small eight seater buses, one for each Shire, to transport participants to their activities. To achieve this he is looking for a friendly car dealer who may be willing to provide buses at a reduced cost as part of a sponsorship program, as well as fundraise for their purchase. Superintendent David Roptel has just taken up the role of Commander of the NSW Police Youth and Crime Prevention Unit and spoke about the value of engaging with local communities to strengthen relationships between Police and the public. He gave as illustration the support local indigenous residents gave to police in Redfern at a particularly difficult time for their community. Bega Rotary is coordinating RYDA for Bega Valley and the Monaro on 15-17 May at Frogs Hollow Go Kart Track south of Bega. This is where Narooma High students first attended RYDA before Batemans Bay and Moruya Rotary Clubs took up the challenge to run one in the Eurobodalla. The Bega programme runs over three days to accommodate the 500 or so Year 11 students from Bega High, Eden Marine High, Bombala High, Lumen Christi Catholic College, South Coast Anglican College, Monaro High, Jindabyne Central and Mallacoota P12 College. NEXT WEEK IS A PARTNERS’ NIGHT with special guest speaker RI Director Noel Trevaskis who will speak on ‘The Rotary Story; Yours and Mine’. 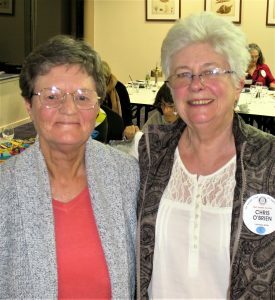 Noel is currently a member of Narooma’s ‘mother club’, the Rotary Club of Bega. He is on the Board of Rotary International (2016-2018) representing Australia, New Zealand, Philippines, Indonesia and the South Pacific Islands (Zones 7 and 8). He was our District Governor 2005-2006, and a past Board member and Chairman of Australian Rotary Health. Check out the bulletin’s calendar for more information on Noel. I was in the express lane at the supermarket quietly fuming. Completely ignoring the sign, the person ahead of me had slipped into the lane pushing a trolley piled high with groceries. Our guest speaker last week Dr Ian Noble was thanked by Mike Young. Therese and I had an enjoyable few days away in Sydney last week catching up with family and taking in a show or two. Thank you very much to Laurelle who stepped into the breach last week and worked with the Golf Club about room changes for our Thursday meeting. It is good to know that when I am away Laurelle as Vice President can be relied upon to get the job done. Because the Club does not charge us for the use of the Seahorse Room, occasionally we may need to move to allow them to cater for different events. A reminder we will be helping with catering for the Oyster Festival’s free family concert, motocross display and fireworks this Friday night from 4pm. We need members to help out to make the job easier on all of us. If you can assist, please let John Doyle know. The District Assembly will be held this weekend in Batemans Bay; Rod and I will be attending. We will update you at next week’s meeting. Don’t forget the Busking Festival is not far away and once again we will need your help. 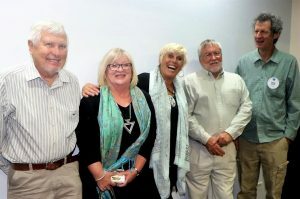 At last week’s meeting – Peter and Julie Hartley, Ang Ulrichsen, our guest speaker Dr Ian Noble, and Frank Eden. We had lots of visitors last week, thanks particularly to Ang and Frank, to hear our guest speaker Dr Ian Noble talk about climate change. They were not disappointed. Ian is Emeritus Professor at the ANU’s Climate Change Institute, based in Fiji. It was fascinating to get such an informed ‘big picture’ view of the issues and his views on possible mitigation and adaptation. Many thanks to Angie for organising such a fascinating speaker. Sandra asks everyone to please consider giving one or two hours on the day; also ask your friends. Volunteers are needed from 8am to help set up and put signs and that out, then on the street selling and collecting busker votes, checking on buskers to make sure they are okay, directing people to Symons free shuttle bus that will run between the Flat and the Plaza to help people get around to see the musicians, as well as handing out programmes and maps. People are also needed in the office in Easts Holiday Park to help register buskers and count busker votes, and more are needed after 3.30 to help take down the signs and various bits and pieces. If you can help, please talk with Sandra (0408 298 233). opportunities for networking during the day and at the dinner that night. It will be interesting next week to hear back from Bob and Rod at our Club Assembly next week. NEXT WEEK: Peter Bull is the next in our series ‘our Rotarian Speaks’. So please meet at Peter’s place at 6pm, then back to the Golf Club for dinner and a Club Assembly about 6.45pm.